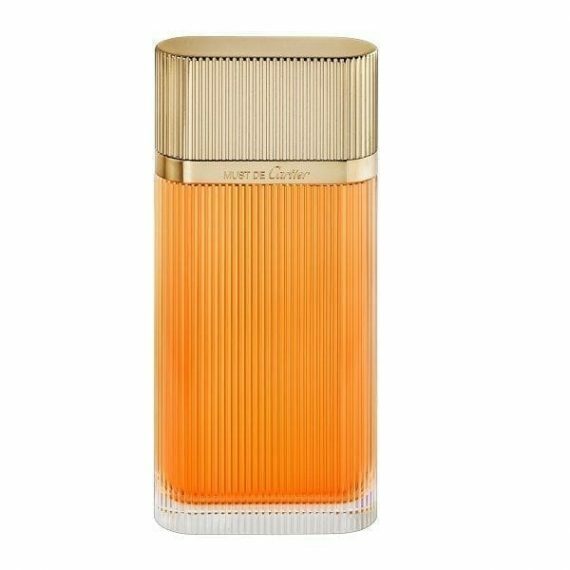 MUST DE CARTIER Eau de Toilette was launched by Cartier in 1981. It’s fragrant nature explores essences of bergamot, tangerine and ylang-ylang. Blended with notes of vanilla, musk and amber. Must de Cartier is recommended for evening use. Top Notes: Aldehydes, Pineapple, Green Mandarin, Galbanum, Peach; Heart Notes: Carnation, Leather, Orchid, Jasmine, Neroli; Base Notes: Amber, Sandalwood, Tonka Bean, Vanilla.